American River College’s men’s cross-country team looked to continue its reign over Northern California Cross-Country as it finished out the 2014 season with a No. 1 finish in the Big 8 Conference and in the NorCal Championship. The team did so in the 2015 season, winning its conference and the NorCal title once again while winning its fourth state championship in five seasons. With the final race of the season coming up at the 2015 California Community College State Championship, ARC had to prove one last time that it was worthy of its No. 1 ranking. ARC felt confident with its ability to win the meet because the team won it back-to-back-to-back in 2011, 2012 and 2013 but was not expecting the results it would get this time around. The race hosted of 200 runners and almost 30 schools from all over the state. To this point, ARC had a perfect season but also jumped from being the No. 3 ranked team to No.1 earlier in the season. ARC didn’t look to show any signs of folding under the pressure because ARC’s seven runners put up a score of just 67 points to win the meet. Every other team was north of 100 points including this seasons previously ranked No.1 team, Mt. SAC. ARC took two top 10 places and two more top 20 places. ARC started off the 2015 season looking determined to show that it was still No.1 with its season opener at the University of San Francisco Invitational. ARC ran in the Non-Division I 8000-meter and left every other team in the dust with a final team score of 20 points and separating itself from the rest of the pack by 41 points. ARC progressed through the season winning the Fresno Invitational over the No.1 and No.2 state ranked Mt. San Antonio College and College of the Canyons. The team then won the SoCal preview in both the open and invitational and the thought of a state championship was on some runners minds. “I didn’t really have any expectations but as the season went on the goal was to win the state meet,” said freshman Ross Walker, one of ARC’s top five runners. The team finished out its regular season by taking the first place state ranking and winning its next two meets at the Hartnell Invitational and the Non Division I Santa Clara University Bronco Invitational with sophomore runner Sean Gregg taking the individual win for ARC at the Hartnell Invitational. The team’s success has not been by accident with head coach Rick Anderson at the helm, who has led the team since 1996. He has multiple titles with the team including four State Championships, nine NorCal Championships and 15 Big 8 Conference Championships. Every athlete on the team attests to his ability as a coach and recruiter to make a high caliber team. “I would like to thank Rick for recruiting me and putting together a great team, because without him I would have stopped running,” said Abdul Hamid, one of ARC’s top runners. Anderson picks only the best runners from area high schools and has a strict workout system to get the best out of every athlete. “Our success this season has been mainly through coaching, (Anderson’s) atmosphere allows us not to freak out.” said Brad Needles. Going into the Big 8 Conference Championship, Anderson made a bold statement to the rest of the conference by sitting his top five runners and planning to still win the title without any trouble. The team delivered, with three out of five it’s runners finishing in the top five and culminating a score of 20 points, spacing themselves out from the rest of the teams by at least 50 points. 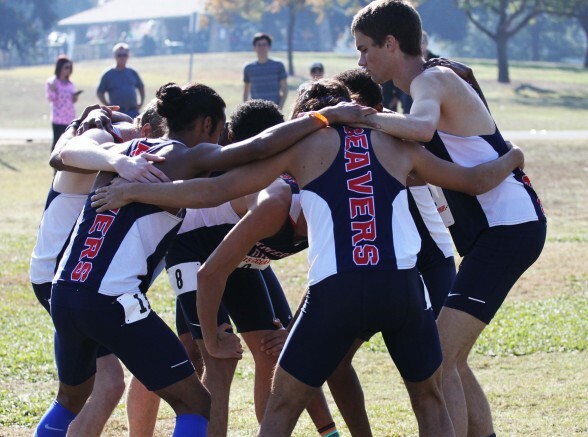 The win made it the 10th consecutive Big 8 Championship Conference for the team and allowed its top five runners to get rested up for the Northern California Championship. ARC headed back to Toro Park in Salinas where they had won the Hartnell Invitational for the 2015 Northern California Championship meet in the chase of the team’s sixth consecutive NorCal Championship title. ARC sent Hamid, Donald Plazola, Sean Gregg, David French, Walker, Needles and Ozzie Hassen to run in the meet with many of these athletes already having multiple top five finishes during the season and even some first place finishes. 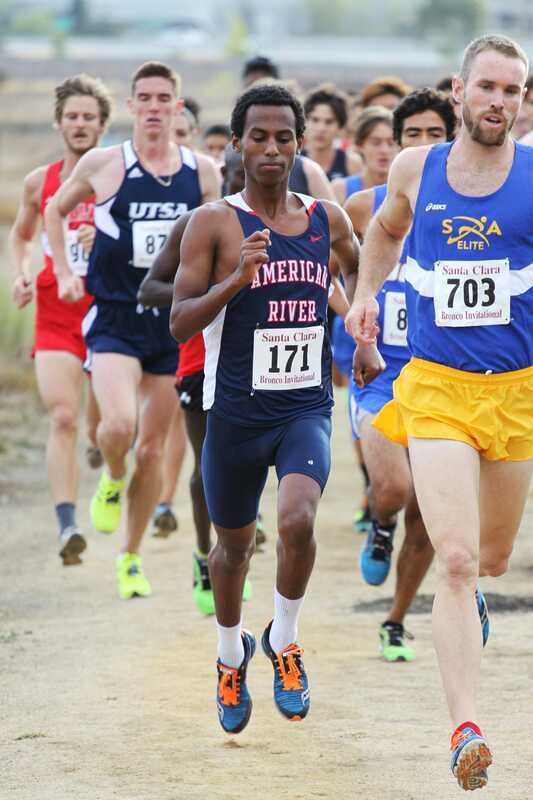 ARC ended up crushing the meet, with Hamid winning the race with a time of 20:20:8 over the four mile course and was almost a full three seconds ahead of second place finisher Jason Intravaia from Las Positas College, who had a time of 20.23.5. “He’s a freak, always on his game,” said Needles about Hamid’s performance every time he runs. Plazola, Gregg, French and Walker took third, seventh, eighth and ninth respectively, helping ARC win the team portion of the race as well by a score of 28. Team members credited their individual hard work and the coaching of Anderson with its rise back to the top as state champions. 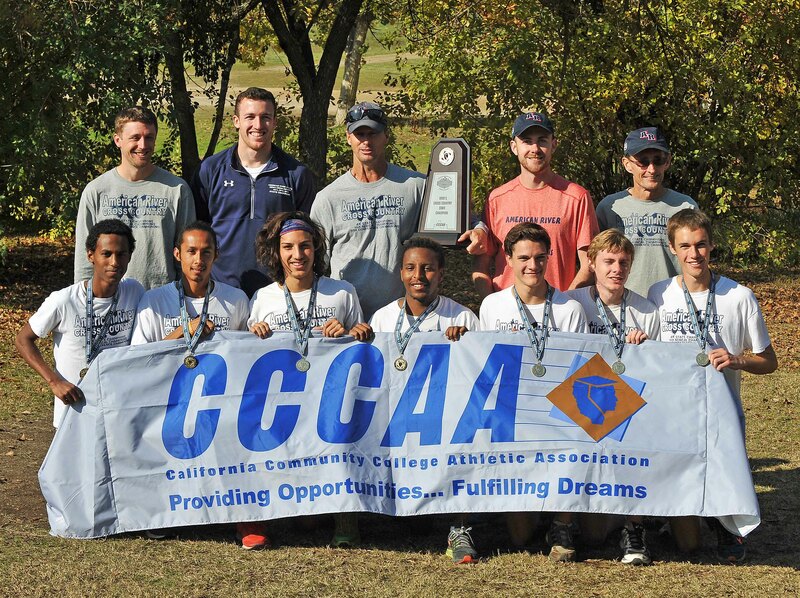 Be the first to comment on "ARC men’s cross-country team wins fourth state championship in five years"